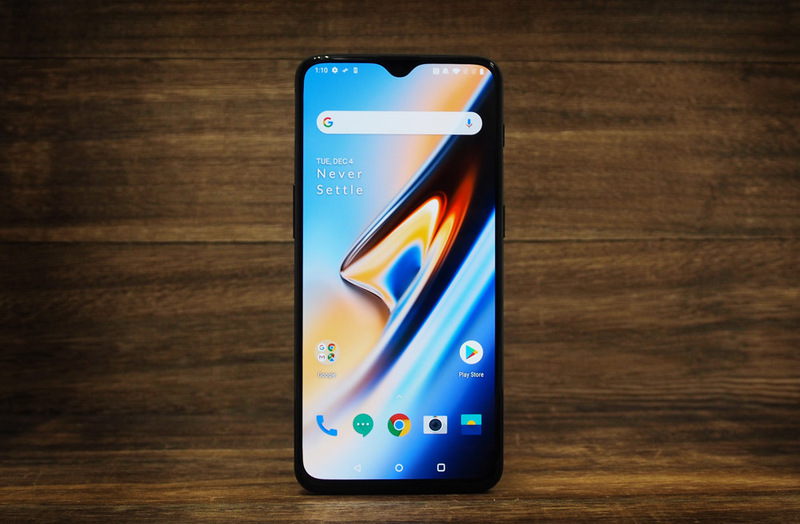 The OnePlus 6T is OnePlus' latest flagship smartphone and is an update on the OnePlus 6 that was released earlier this year. The 6T has a bigger AMOLED display (at 6.41-inches it's actually the biggest OnePlus has ever put on a smartphone) with a smaller teardrop-shape notch, a cutting-edge in-display fingerprint scanner, and a bigger battery. But it's also the first OnePlus phone without a headphone jack. 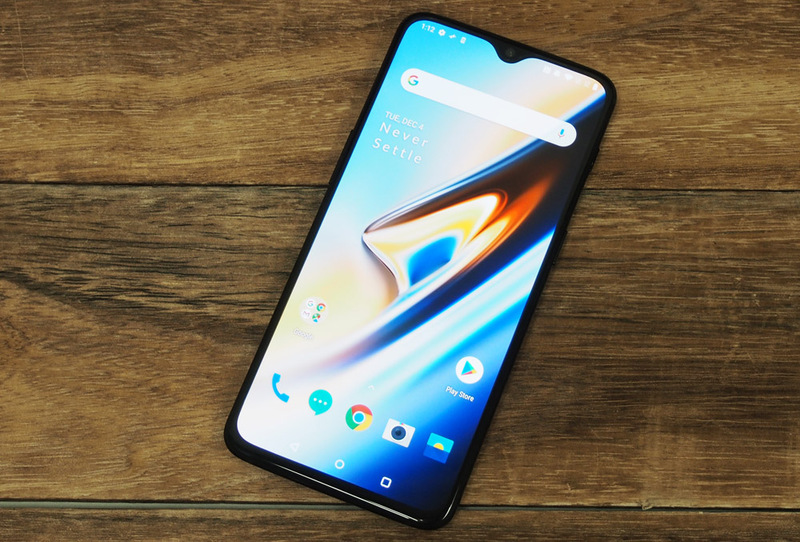 Is this another OnePlus "flagship killer"? Let's find out. 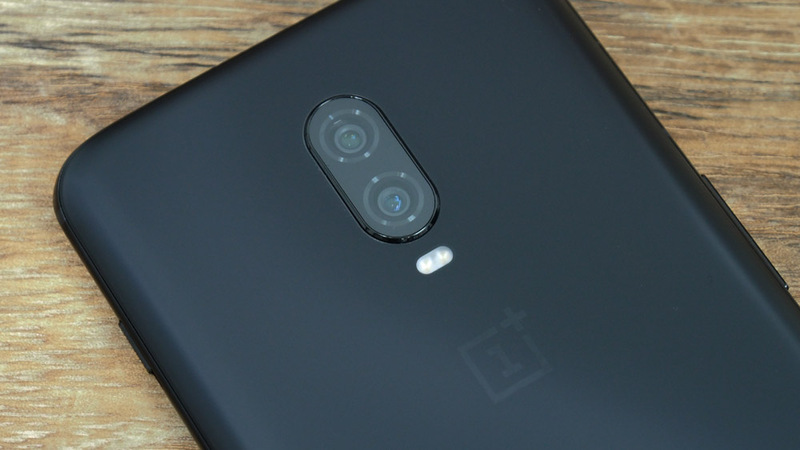 OnePlus has never been particularly daring when it comes to phone design and the 6T is no different. You get the same metal and glass sandwich design that you see on 90% of premium smartphones these days and, while it doesn't look bad, it's also not particularly interesting. The 6T is 2mm taller and 0.8mm narrower than its predecessor, and also about half a millimeter thicker. It's also 8g heavier, but none of these minor differences are really noticeable, and for the most part, it feels about the same in hand. 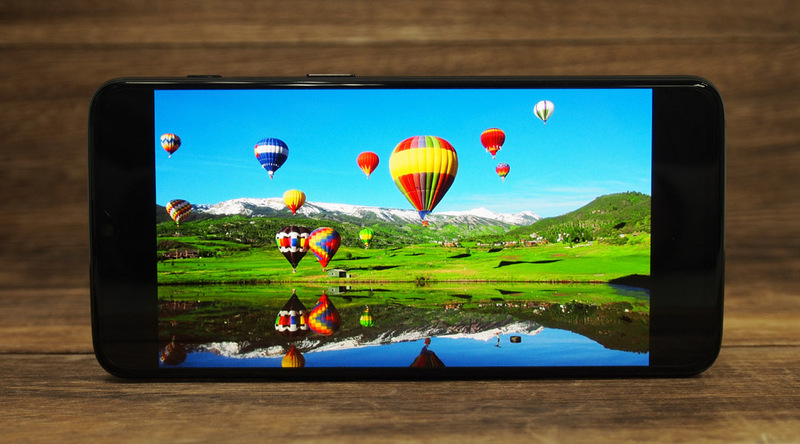 With roughly the same dimensions as the 6, the 6T's larger 6.41-inch screen size comes from its smaller teardrop-shape notch. The notch is more inconspicuous than the 6's iPhone X-style notch, but a notch is still a notch, which means I know some people will always hate it. If you really can't live with it, there's an option in the settings menu to hide it, which will turn the sides of the notch dark. 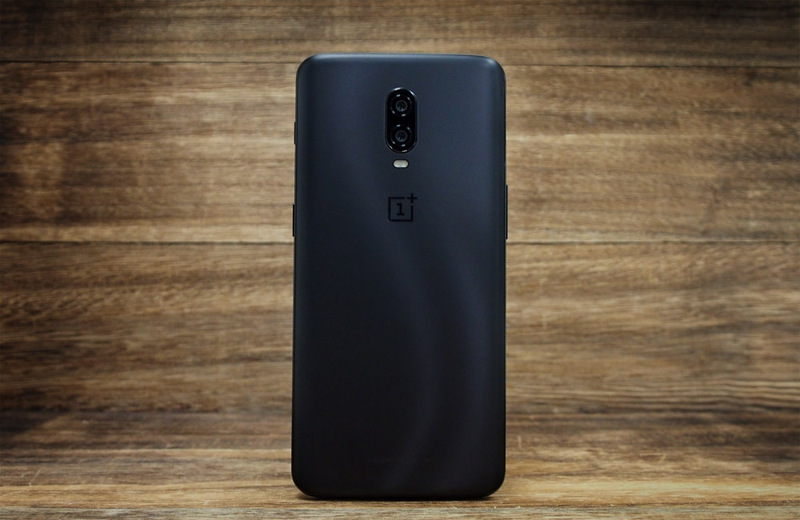 The 6T is available in two colors, but they're both shades of black. You can either opt for a glossy Mirror Black, or a matte Midnight Black. The Midnight Black makes the back look a bit like aluminum, and has a really nice smooth finish that is great at repelling fingerprints. I'm a bit disappointed that Silk White hasn't made a return, as that was my favorite color for the 6, but hopefully OnePlus will release more colors in future. On the back of the 6T there's a dual camera setup in the top-middle area of the phone. The camera module is the same 16-megapixel + 20-megapixel depth sensor setup as the 6. You'll notice that there's no longer a fingerprint scanner back here, and that's because the 6T is the first OnePlus phone with an in-display fingerprint scanner (more on that later). 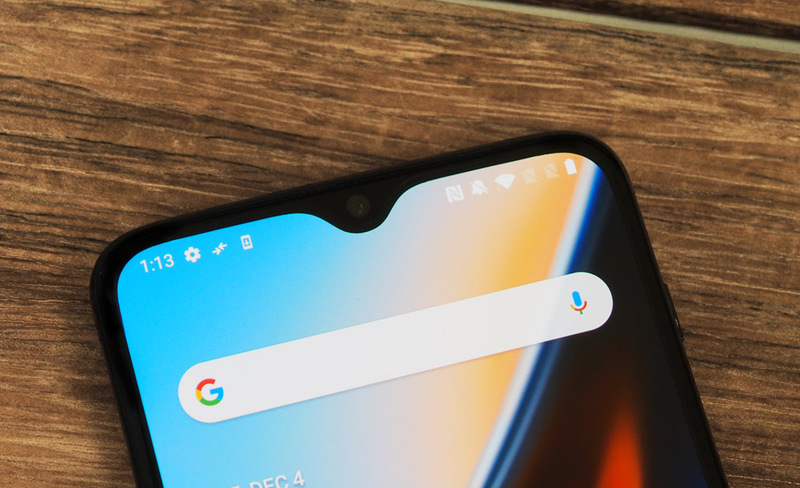 Like the 6, the 6T has OnePlus' signature three position slider in its new location above the power button on the right side. As always, the slider lets you easily toggle between silent mode, loud mode, and vibration-only mode. The volume rocker and dual-SIM tray can be found on the left. Note that while the SIM tray can take two 4G nano-SIM cards, it does not double as a micro-SD card slot. In fact, there is no expandable storage on the OnePlus 6T, so you’re stuck with whatever internal storage capacity you buy. Fortunately, OnePlus has now doubled the base storage capacity to 128GB, and on the 8GB RAM model, there's also a new 256GB storage option. The bottom of the 6T looks a bit different from its predecessor. For the first time on a OnePlus phone, the 3.5mm headphone jack is missing. Instead, OnePlus has gone for an Apple-style double speaker grille layout and, just like the latest iPhones, sound only comes out from the one on the right. Between the speaker grilles is a USB Type-C port, which unfortunately is still only USB 2.0. This isn't really a big deal but since the phone lacks expandable storage, you'll be relying on the USB port for all of your data transferring. If you're copying a big movie file onto the 6T, expect it to take quite a while. Like the 6, the 6T doesn't have an official IP rating. According to OnePlus, the phone is equipped with “weather protection and can guard against rain” but they also warn that you shouldn't “take it out for a swim”, which would make it roughly equivalent to IP4 or IP5. The glass on the display has seen a slight upgrade in durability though, and is now Gorilla Glass 6, up from 5 on the OnePlus 6. The 6T has a 6.41-inch Super AMOLED display with a 2,340 x 1,080-pixel resolution, giving it the same 402ppi as the 6. The display is taller, but slightly narrower than the 6.28-inch display on the 6, so it's not actually that much bigger overall. The display is bright and has excellent contrast and color. The default color setting is a little vivid, but if you switch to the DCI-P3 or sRGB profiles, colors look a lot more natural. There's also an Adaptive mode that is pretty similar to Apple's True Tone display and will recognize the ambient light and adjust the display accordingly. Unfortunately, the display is not HDR10 or Dolby Vision compatible. Like all OnePlus phones, the 6T comes with a pre-installed screen protector. Unfortunately, the protector is plastic, scratches easily, and is a real fingerprint magnet. Keep it on only until you can get yourself a nice tempered glass screen protector. 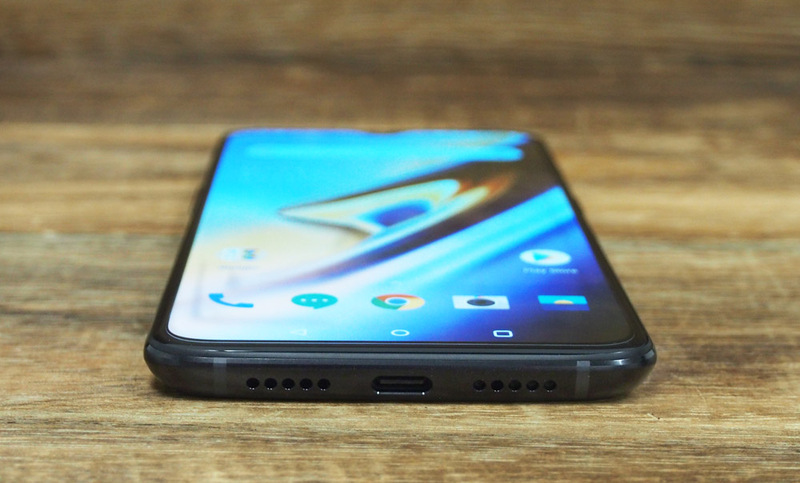 Audio on the 6T comes from the single downward firing speaker on the bottom of the phone. The speaker is quite loud, and relatively clean, even at maximum volume, but it still pales in comparison to a stereo speaker setup. While the 6T no longer has a headphone jack, OnePlus does supply a USB-C to 3.5mm dongle in the box. However, it no longer comes bundled with a pair of earphones. I know most people use their own earphones, but a pair of USB-C earphones would have been a nice option for when you don't want to carry a dongle around. The most interesting new feature on the 6T is an in-display fingerprint scanner. The scanner is embedded under the display, with its location marked by an on-screen animation showing you where to place your thumb. The scanner works well, and is both fast and reliable, although it does require a bit more pressure than conventional fingerprint scanners. 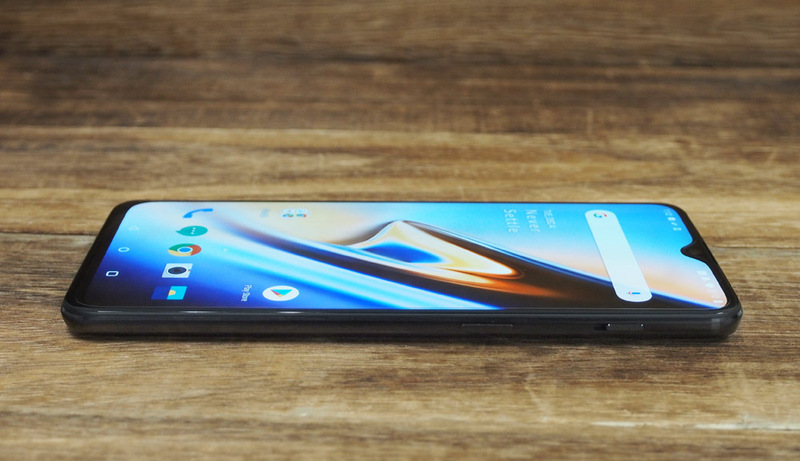 Despite OnePlus' claims that this is the fastest in-display fingerprint scanner ever, I found it to be exactly the same as the one on the Huawei Mate 20 Pro. If you don't want to use the fingerprint scanner, you can also use Face Unlock, which uses the selfie camera to unlock your phone. It's very fast and reliable, but it doesn't work in the dark, and it's also not that secure - it doesn't even require you to be looking at the phone to unlock it. The 6T runs on Android 9.0 Pie out of the box with OnePlus' Oxygen OS on top of it. Oxygen is one of the better Android re-skins out there, with a relatively clean and close-to-stock experience. The gesture control system from the 6 returns, with its iPhone X-inspired gestures. Swipe up from the bottom center to go to the homescreen, swipe and hold for recent tasks, or swipe up from either side to go back. There's also an option for screen-off gestures, which will let you quick launch an app by drawing a symbol on the screen. There are five gestures the 6T will recognize: O, V, S, M, and W. By default they don't do anything though, you have to assign each one in the settings menu. There's also an option to double tap the screen to wake, or if you're playing music, two finger swipe down to pause music (||looks like you're drawing a pause button, get it? ), or draw < or > for previous/next track. The rest of the OS is basically the same as what you would find on a Pixel phone. However, one notable omission is Google's new Digital Wellbeing features, which includes stuff like Screen Time and app timers and restrictions. Hopefully this will be added to the 6T soon.